House windows pricing questions? We offer instant pricing for windows online. - How Does This Site Work? - Why choose Alside brand windows? - What if I make a mistake when I measure the windows in my home? - How do I know which options to select with my windows? - Do you offer financing? - Can you tell me more about the styles of windows you offer? - How does vinyl compare to other materials used in manufacturing windows? - There are special regulations about windows in my state. Does your site take this into account? - Do you offer any after-market parts for windows on this website? - Why are your prices so low? - How does the ClimaTech ® Insulated Glass Package save you money and is it always an advisable option? - Is there a minimum window purchase? - What is tempered and obscured glass? - I currently have a Bay Window. Can I change the individual windows in it rather than replace the entire thing? - What preparations need to be made in order to install the new windows? - How much time will it take to have my windows manufactured and installed? - Who installs the replacement windows I price here? - What if there is a problem with my windows or the installation? - Will it be easy to clean my new windows? We have a pre-screened dealer network setup to handle these pricing requests. When your pricing request is sent, one of our local dealers will call you to discuss your project and give you approximate pricing for your job. If you are interested, you can then setup an appointment to have a final price given for the work. Why choose Alside brand windows? Alside consistently manufacturers an excellent, energy efficient window and replacement patio door product which our customers love. They have one of the best brands in the windows business, and since they are a national brand, they are very reliable and convenient to work with. In short, Alside brand is excellent and consistently satisfies home owners. In fact, Alside has some of the highest rated vinyl replacement windows on the market. And since vinyl windows are extremely durable and energy efficient, they make an excellent investment. Of the various materials used to manufacture windows, vinyl is the most popular. And as for energy efficiency, Alside Windows were the Energy Star partner of the year in 2000, 2001 and 2002. ASTM The American Society for Testing and Materials is an agency that develops rigorous testing standards for products that you use in your home every day. ASTM designs tests that challenge specific products in very specific ways—such as extreme weather and impact resistance. These tests are witnessed by independent laboratories using the nationally recognized American Architectural Manufacturers Association (AAMA) test standards and criteria. 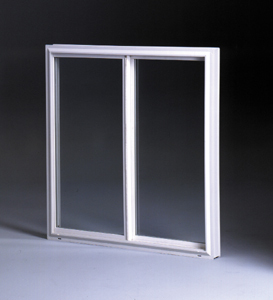 Alside windows easily pass the rigorous air infiltration resistance testing procedure. This means Alside windows minimize the infiltration of outside air, even at extreme wind speeds. Select Alside window brands have resisted water infiltration in this test approximating rainfall at the rate of eight inches per hour under simulated wind speeds of up to 50 miles per hour. Select Alside window brands maintain their strength and integrity in simulated wind speeds up to 155mph—the equivalent of a Category 5 hurricane. The lineals used to manufacture Alside window products are voluntarily submitted to annual UL testing and quarterly inspections to assure you that they are UL Classified to ASTM E 84. Read more about comparing Alside and see our presentation about selecting Alside windows. Also, one of the most important things to consider when purchasing windows for your home is who is installing them. A bad install can quickly subtract the benefits of upgrading your windows. That is why it is so important that Alside has prescreened the dealers who we can refer you to here. Our dealer network is strong and well regarded in the industry...and they can provide references to prove it. The Alside Lifetime Limited Warranty Alside—a recognized leader in product innovation, manufacturing excellence and uncompromising quality control—offers one more layer of protection and peace-of-mind: a Lifetime Limted Warranty. From the day your windows are installed to the day you sell your home, you have our assurance that your windows are fully backed. What if I make a mistake when I measure the windows in my home? It could effect your window price quote's accuracy, so please be as accurate as you can when you put in the window measurements. Again, the main thing to note is that measurements can effect price. Our local dealer will remeasured your windows before they are ordered. There is no obligation or pressure when using this site, so just have fun. You should also note that there are certain size limitations to the windows that Alside can custom manufacture. This is normally not a consideration for the average window, but for very small and very large windows, it may need to be taken into consideration as the windows may not be possible to manufacture. If you can't measure, you can always request a free in-home estimate from one of our Alside Preferred Window Dealers. If you're just looking for a general idea of window pricing, you can use our ball-park windows pricing estimate form. How do I know which options to select with my windows? As you are setting up your window pricing estimate, you will need to make some decisions about features you may want to add. For instance, to save energy you may have your windows filled with Argon gas. Argon is colorless, odorless, nonflammable, nontoxic, and above all, a safe, inert gas that is heavier than air. There are other options available such as coatings. View our glass options page for more information. You may also need to consider what will blend in with the rest of your house or your neighborhood. In some cases, you may have style restrictions placed on you by your homeowners association or condo association. You will also need to select your window color. Some of our windows come in only beige or white. 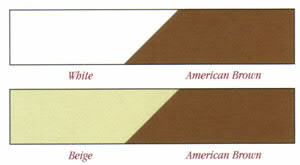 Our Sheffield and UltraMaxx lines also come in American Brown. If you choose to have screens with your windows, there are two options: full size or half size. Full size screens do not move up and down, so you'd only want those for windows that you will not need access to the outside. All windows come with 1/2 screens by default, but of course, if you do not want screens at all, they can simply be removed. Grids are a matter of preference and style. Grids recreate the colonial-style of windows and are a common style in neighborhoods throughout the USA. Generally speaking, if you choose to have window grids, your entire house will have grids. When it comes to grids, there are five options: No grids, flat grids, diamond colonial, colonial brass and contour grids. If you order windows with grids, the grids are "inside" of the window glass, so they are much easier to clean than windows that have external grids. When a representative visits you, they will bring grid samples to help you decide the best choice for you. 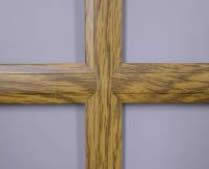 Please view our gallery of window grid options. The Excalibur, UltraMaxx and Sheffield lines offer a variety of cut and polished glass patterns. These distinctive designs add beauty to your new windows. The Sheffield and UltraMaxx lines also have the option of beveled-leaded glass. Ask your Alside Window dealer for more information and pricing. Please see our gallery of cut and beveled glass options. Most of the windows offered here are fusion-welded. Fusion welding is a process that uses extreme heat to create a single piece from several. This process increases the durability of the window and makes it more energy efficient. 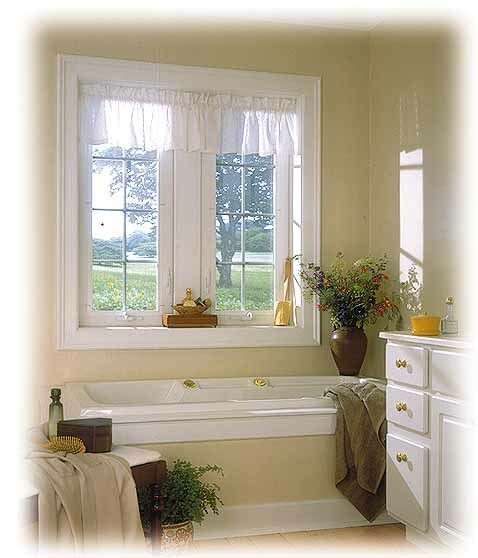 Note that all double hung windows have a tilt-in sash for easy cleaning. To get additional ideas for your project, be sure and have a look at our window gallery to view images of the windows we offer. 6) What is tempered and obscured glass? Tempered glass is a type of safety glass made of heat strengthened glass. If the glass is ever broken it will simply crystallize into very small particles, reducing the risk of personal injury or property damage from falling shards of glass. Some states or localities may require tempered glass for windows that are close to the floor. Obscured glass is treated so only light comes thru and visibility is impaired. Normally it is used in areas where privacy is important, such as bathrooms. Most of our dealers offer financing options. Please ask the local dealer about this when they call. Can you tell me more about the styles of windows you offer? 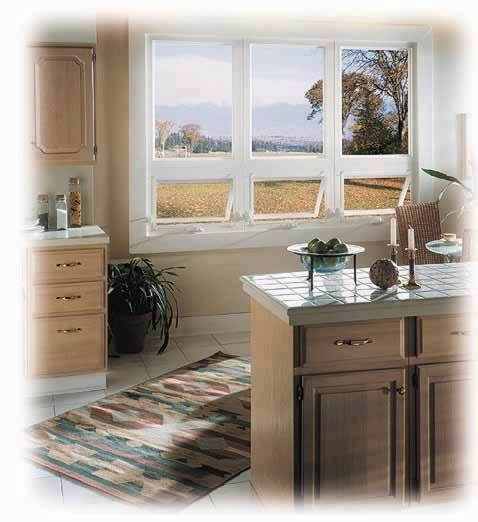 We offer several different styles of windows from the Alside product line. Aside from the usual double-hung window, we also offer casements, 2-part slider windows, 3-part slider windows, awning windows, garden windows, bow and bay windows. How does vinyl compare to other materials used in manufacturing windows? Vinyl is an excellent choice for windows. It is extremely durable. Does very well in high temperatures, salt water air and in other inhospitable environments. The windows are able to stand up very well to these conditions and furthermore, because vinyl is a good insulator, they do alot to protect you from the conditions outdoors. In a more typical environment, they do just as well. Vinyl windows never need painting, they resist scratching, they are easy to clean and they keep their shape over the years which means they will remain easy to open. It is important to note that vinyl is a general term and that different manufacturers use different formulas for their vinyl windows. Alside's vinyl formulas are time tested and proven by independent laboratory tests. There are special regulations about windows in my state. Does your site take this into account? To some extent it does. Most of the window options we offer can be used in any state. Some states, such as Florida have additional requirements such as Hurricane shutters which must be installed with every window. If there are any special regulations in your state which would require you to need extra equipment with your windows, our representative will advise you of that and make pricing adjustments that are needed. Do you offer any after-market parts for windows on this website? We do not. The best place to get aftermarket parts is from the original manufacturer of your window. If you're not sure who made them, check for a name on that security latch or on the frame when you tilt out the window. We also do not offer any sort of snap-in grids or other stand-alone window accessories. 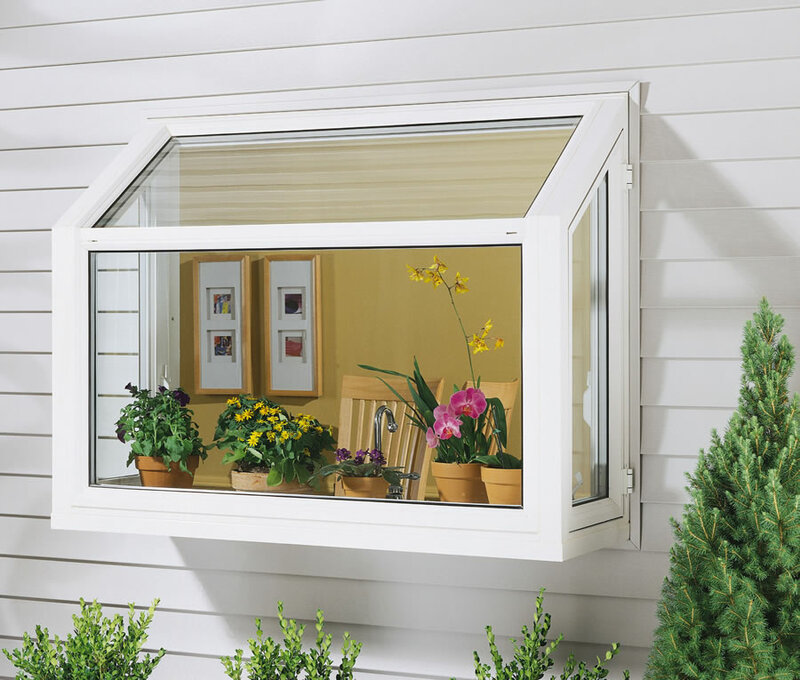 We offer only installed windows from Alside. If you're wondering, Alside's grid offerings come installed inside the window so that cleaning your windows is easy, and they never get dusty or dirty. People often wonder what could be wrong when the prices we give here are thousands of dollars lower than those they've got from some other local dealer. The windows we offer here are premium quality Alside windows offered all over the United States. Our prices are low because we've negotiated special volume pricing with dealers in our network. How does the ClimaTech ® Insulated Glass Package save you money and is it always an advisable option? The average household spends over 40% of its annual energy budget on heating and cooling. Alside Windows with ClimaTech ® can reduce those bills by up to 15%. The energy-saving ClimaTech ® Insulated Glass Package helps cut the amount of fossil fuel used while helping reduce air pollution, smog and global warming. Read more about ClimaTech with Ultramax and Sheffield windows. Read more about Climatech for the Excalibur window series. Is there a minimum window purchase? Our window pricing is based on a minimum of 4 windows purchased. If you only need 1, 2 or 3 windows then there may be an add-on fee of up to an additional $425. The local dealer will make the determination as to how much this service charge will be. NOTE: This does not apply to sliding glass doors, garden windows, bays or bow windows. What is tempered and obscured glass? Tempered glass is a type of safety glass made of heat strengthened glass. If the glass is ever broken it will simply crystallize into very small particles, reducing the risk of personal injury or property damage from falling shards of glass. Some states or localities may require tempered glass for windows that are close to the floor. An upcharge must be added for windows that require tempered glass. If you know of a window in your home that will require tempered glass, please indicate it when you use the advanced pricing form. I currently have a Bay Window. Can I change the individual windows in it rather than replace the entire thing? That will depend on the window itself. Many times Bay Windows do not need to be taken out as a unit. In this case, the cost to renew your bay window is simply the cost of replacing the individual windows inside it. What preparations need to be made in order to install the new windows? We ask that you remove any curtains, blinds or window decorations, and that you try to make so room so that we can have easy access to the windows. We try to be as neat as possible and we never leave trash or any kind of mess at the work site. How much time will it take to have my windows manufactured and installed? 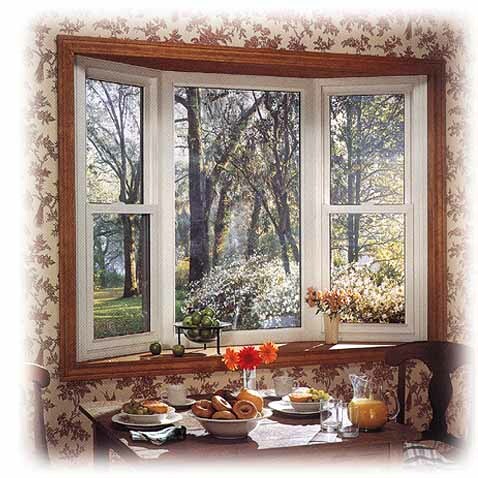 Alside's windows are custom manufactured just for the openings of the windows for your home. Therefore it does take some time to get them ready for installation. Depending on your location, it is usually a matter of weeks before the new windows will be ready to go in. An average home takes one day to completely install the finished windows. Of course this depends on the difficulty of the installation at your home and the number of windows you have. Who installs the replacement windows I price here? Remodel Search's main goal is to save you money while still providing the highest quality products and workmanship. We work with crews from experienced, fully bonded and insured companies who use Alside products in your area. For instance in the Maryland, Virginia and DC Metro area, we hire Hallmark Windows to do all installations for customers in that region. We have negotiated an excellent price for the installations, and the savings is passed along to you. Note that the prices quoted on our site include measuring and customary professional installation. Unfortunately we cannot sell to self-installers or contractors who are not part of this network. What if there is a problem with my windows or the installation? All of our windows are backed by 3 warranties: A Lifetime Window Warranty from Alside, A Lifetime Glass Breakage Warranty from Alside, and an installation warranty. So you will be well protected. Will it be easy to clean my new windows? Alside's house windows are designed to make cleaning a snap. The double-hung windows have a latch to let them easily tilt into your home so you can clean both sashes. Also, if you choose to have grids with your windows, the grids will be inside the glass packs, so cleaning the windows won't be hindered by them. Argon Gas: An inert gas that is much heavier than air, which is used inside a window sash to promote energy efficiency and quiet inside your home. Grids: Bars that divide the window glass into sections. This is mainly for decorative purposes. Lite: A section of glass. In a 3-lite window, there would be 3 "sub windows". Low-E: A low emissivity coating applied to glass to reflect radiation and increase window efficiency. Measure-Tech: An experienced window measuring expert who will visit your home to double check your window measurements. Note: Our Measure Techs are NOT salesman. Mullion: A piece that connects two or more windows together. R-value: You want to look for higher R values. The R-value measures the resistance of thermal transfer or heat flow through the window. A typical R-value for the center of a double glazed window is R2. When Low-E and argon gas are added, the R-value typically doubles to about 4, reducing heat loss by approximately 50%. Sash: The part of the window that contains the glass. Solar Heat Gain Coefficient: The Solar Heat Gain Coefficient measures the amount of solar heat that gets through a window. The lower the SHGC, the better a window is at reducing heat gain, and in the end, the cooling costs that go along with it. U-Factor: A U-factor measures the rate of non-solar heat transfer from one side of the window to the other. Heat transfers to both heat loss out of a living space during cold winter weather and non-solar heat gain into a living space during hot summer weather. This energy transfer, measured in BTUs, is know as conduction. United Inches: This is a window-industry standard measurement. United Inches are obtained by measuring the height and width of a window (just the sash, not including the frame) and then adding the two together. So if you had a window that was 35 inches high by 42 inches wide the United Inches would be 77. © 2008 Remodel Search. All rights reserved. Bethesda, Maryland, Virginia, North Carolina, Cherry Hill, New Jersey Replacement Windows , Detroit and Washington D.C Wisconsin, portland Oregon. Some content used with permission from Alside, Akron, Ohio.